WASHINGTON – (RealEstateRama) — The National Housing Conference welcomes the final Underserved Markets Plans released by Fannie Mae and Freddie Mac today as the next step in the Duty to Serve process. The enterprises make more specific commitments to loan purchases and investments in year one than were in the May drafts. We should see immediate impacts from these plans in 2018 to help private capital reach rural areas, preserve affordable housing and improve manufactured housing. NHC is pleased that Fannie Mae and Freddie Mac responded to the public input on the draft versions of the plans by making improvements. We look forward to continued engagement with the Federal Housing Finance Agency, Fannie Mae and Freddie Mac coupled with active participation by housing and community development stakeholders as Duty to Serve moves forward. About NHC: Everyone in America should have equal opportunity to live in a quality, affordable home in a thriving community. 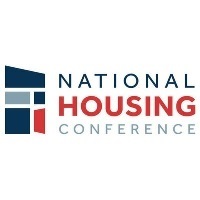 The National Housing Conference educates decision makers and the public about housing policies and practices to move housing forward together. NHC convenes and collaborates with our diverse membership of housing stakeholders including tenant advocates, mortgage bankers, nonprofit and for-profit home builders, property managers, policy practitioners, real estate professionals, equity investors and more to advance our policy, research and communications initiatives to effect positive change at the federal, state and local levels. Founded in 1931, we are a nonpartisan, 501(c)3 nonprofit organization.